Congrats to entry #1 (whoa! ), Ainhoa who said she’d order some business cards or art prints! It’s no secret that I love any type of paper product, so when Minted contacted me to try out some of their goods, I nearly died. I have been a huge fan of Minted since discovering them several months ago. They sell invitations, stationery, prints and more designed by a community of designers from all over the world. Their designs are always incredibly creative and modern, which is what sucked me in. I browsed every single business card they sell to make sure that my favorite was still my favorite. They sell so many great options that it was hard to choose. In the end, I stuck with my first instinct, the Real Simple business card. It’s the gray striped one up at the top and the one I’ve had saved to my phone for the past couple of months. FYI, not my real last name. After a few minutes of tweaking, I then chose what I wanted on the back. My options were white, solid gray, a thinner stripe, a photo or a logo. None were extra to add, so I went with the thinner stripe and voila, all done and just ordered! Now here’s the fun part for you guys, Minted is giving one lucky reader $50 towards ANY purchase on their site!! This giveaway closes on Monday, March 18th at midnight. Any entries made after that time will not be counted. A winner will be announced on Tuesday, March 19th so check back in exactly a week! Disclaimer: I received a credit to purchase business cards in an exchange for posting a review of Minted.com‘s business card customization process. All opinions expressed are mine. I’d order some business cards or some art prints! They have gorgeous stuff, I’ve been a huge fan of Minted since another blogger (Joy the Baker I think) featured them! Holla!!! I’m in! Business cards for sure! I may be tempted with more when it cones down to it let’s be honest! Fun! I totally could have used this site yesterday!! (And u will see why in about 2 days or so…stay tuned at the mailbox). At any rate, I’m going to go explore their website for next time! I’ve been wantng business cards forever but keep being too cheap to actual do it. Love what you designed! I’ve recently started making/decorating cupcakes, usually just for friends and family. Although it’s always hard to put a price on them, they are always suggesting I send a business card to display with my cupcakes to bring me some business outside family and friends. A great idea to help me expand and a great website to design one! I would order some fancy business cards for our soon opening shop! Jealous you are going to Haven. That pesky day job is preventing me from going! My favorite things art print…what a great idea! I love minted (I was always on their site when I was hunting for wedding invites)! I think I’d go with business cards this time around, but they also have some really cute art prints right now so it’s a toss up! Oooh, biz cards for sure! Nice giveaway! Since I am due on April 12th I think I would order birth announcements. I would order “playdate” cards! (funny, every time i typed playDate it changed it to playMate! haha) As a stay at home mom, we are always out and meeting new friends. I’ve been wanting to order “social” cards rather than “business” cards to give to other moms as an easy, memorable way to give them our email or phone number to set up play dates! They have such amazing options…it’s so hard to choose! I did NOT know they had prints…I’m all over them! I’d definitely go with an art print. We have a blank wall that’s just crying out for help and one of those prints would be perfect! I would purchase save the dates. The invitations are very cute. Would love to win some for my nieces party. I would get programs for my daughters wedding. I could totes use some business cards – they’ve been on my to-do list for far too long! I’d get some of their gorgeous greeting cards – like the faux bois birthday cards. Awesome gift! I can’t believe I am starting to look into first birthday invitations for my son. He is very close in age to Easton. He will be 1 on June 5th. I’m in denial that he going to be a toddler soon. I would probably get some birthday invitations. Oh, I love their business cards. We actually need to order more for my husband’s editing company. I didn’t know they had business cards even…i guess I need to check their site out more! But i would probably use the $50 on business cards too! I have been browsing Minted for a few months now! I would order one of the many wedding invitations that I love! save the dates! getting married in October! I would order business cards! I’d order baby shower invites! My boyfriend and I just bought a home after we had been living an hour away from friends and family for three years and it was very hard for us to have get together and people over in our small little condo. We are looking to have a house warming friend and family gathering to reacquaint with everyone and have a nice time! I would love to have some beautiful invitations to send out. I would order doggie business cards to hand out in the neighborhood to admirers of my dog. baby announcements! 🙂 we are expecting our first little one in september! I would order birth announcements – I’m expecting my first! Love the black and white one featured in this post! I Would get some business cards for my blog! I would order birth announcements for my daughter!! These are really cute designs! I would order baby shower invitations for the baby shower I am hosting for my best friend! The only trouble would be which design to pick.. I’m loving them all! Your cards look fantastic, you can’t beat a bit of shimmer! I am in the market for business cards so would definitely be picking them….if only I could decide on a design! What a fun giveaway! 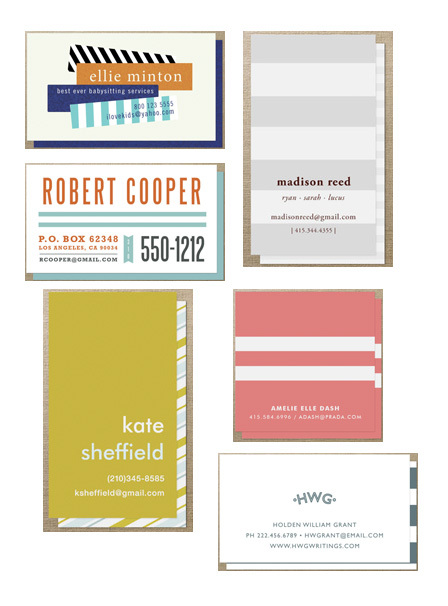 I love everything from Minted. 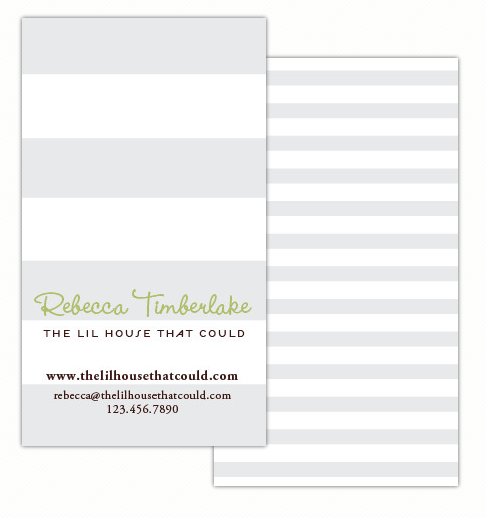 I think I would choose either the exact same business cards as you or some personalized thank you cards! So fun! I definitely need some spiffy business cards! I’m not going to any conferences this year, but you never know! I would be ordering birth announcements! I also do some embroidering/monogramming on the side and I would love some new business cards for that too! Decisions decisions! Baby shower invites for my sister! 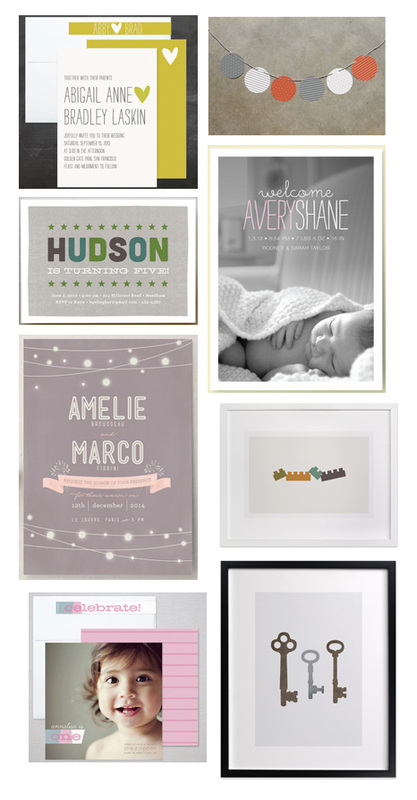 I would order some of their wall art — I had no idea Minted had that, and there are (more than) a few that I’d love! Love their website, but I’ve never ordered. Your business cards look great. I would order Easter cards (since I never did get around to Christmas cards…). I love all of their products!!! Hard to choose, but I think at this time I’d choose their art prints, just beautiful!!! I would love an art print! I would order invitations for my husbands birthday party! I would get Wedding Invitations!!!! 10/19/13 woot! I’m running low on business cards, so I’d definitely get some more! I’m in LOVE with the simple houndstooth business cards in yellow. Fingers crossed. I would totally snag something for Theron’s playroom walls. I love Minted and just have never purchased anything because it’s a little spendy! Thanks for the chance to win.